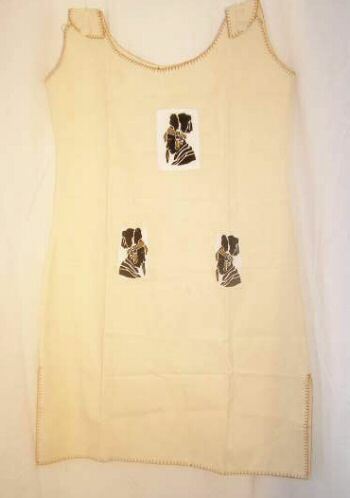 Talking Heads is a 100% unbleached cotton jumper made in Tanzania. The button accent for the sleeves, batik applique and hand embroidered trim make this jumper a lovely unique warm weather dress for the office or home. It measures 18″ from shoulder to shoulder, 23″ across the chest and 44″ from shoulder to hem. It is tapered slightly to flatter your figure.